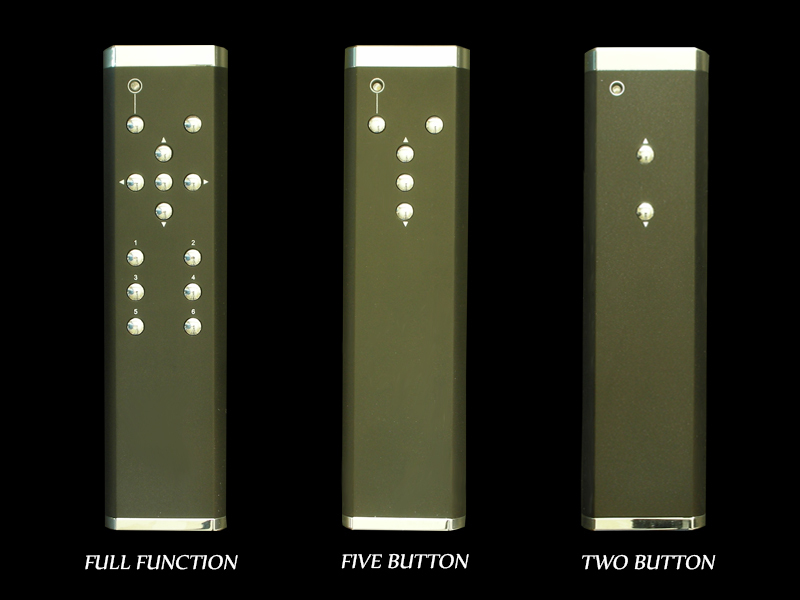 Since all Bent Audio products include remote control functions all packages include a remote handset. Below are the various handset options and a few notes about each handset's functionality. Each Bent Metal Handset is built here by hand using all custom parts - from the extrusion body to the button tops to the PCB inside. Currently there are 3 variations to choose from. This is the handset used with any TAP System package - it allows full functionality of the TAP Module functions like right/left balance, direct source selection, and mute, etc...It is also a great choice for OEM projects requiring a full suite of handset functions. This handset is used for ALPS or Stepped Switch Remote Systems that include the relay option. It is also is a great choice for OEM projects requiring a few handset functions beyond the volume up and down functions. This handset would be used as a high end alternative to the plastic handset for systems requiring only volume Up and Down functions. OEM Customers Please Note: We can make variations of the Bent Metal Handset with any number of buttons to exactly fit your requirements. Like other custom designs though this only becomes cost effective when we get to quantities of 50 to 100 units. Please call to discuss your application and if it is a fit we can work together to provide exactly what you need. 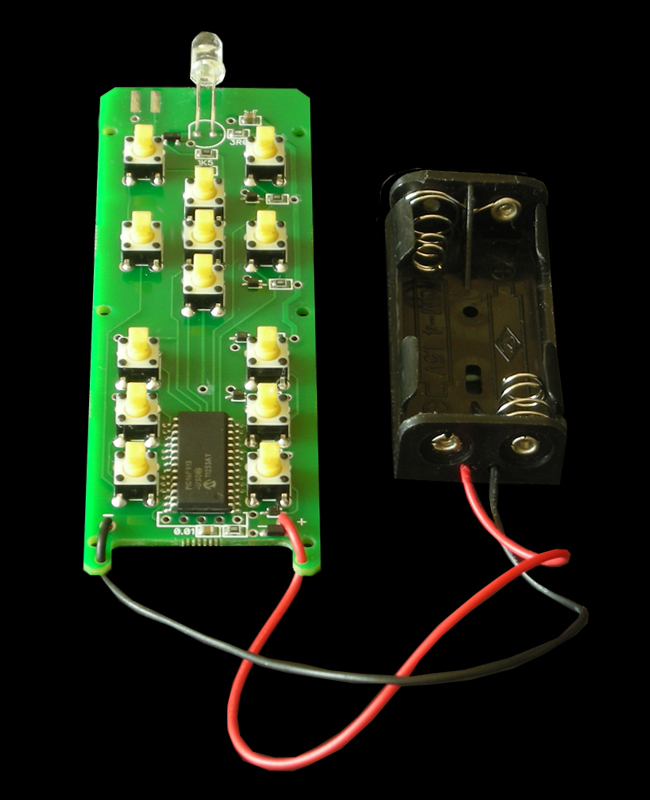 Also for our OEM (or advanced DIY builders) we offer the PCB's from inside the Bent Metal Handset along with button tops so that you can integrate these into your own remote cases. This handset is a cost effective option for ALPS or Stepped Switch Remote Systems that include either only volume up and down function or include a couple of relay functions. If relay functions are used they can be programmed prior to shipping for action on the most suitably labeled handset buttons. All Prices are in US funds. We accept Paypal, Wire transfer, money orders or personal cheques (must clear before shipment). Prices do not include shipping. We ship via expresspost (trackable and insured). Please call for shipping rates.